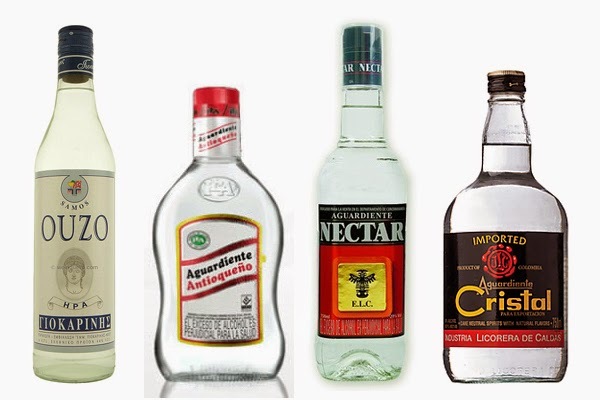 The national drink of Colombia is aguardiente, which is distilled fermented sugarcane juice and flavored with anise. Very similar in concept to cachaça. Drink it neat and look out for brands like Antioqueño, Nectar, and Cristal. It's a match up of anise flavored liquors, because Greece is bringing ouzo to the table. James Mallios, owner of Amali on the Upper East Side, recommends Giokarinis Ouzo. He says, "It’s tops -- drink it with three cubes of ice and well stirred." There you have it.